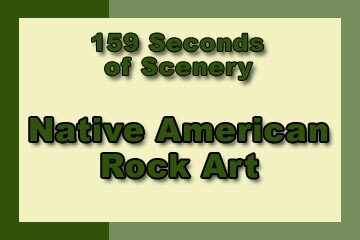 Native American Rock Art - Explore! Native American Rock Art - Explore! Motivation to Explore . . . If you are a person that needs motivation to get outside and explore, finding a topic that interests you then pursuing that topic may work for you. Many people like to collect things and it’s quite possible and very enjoyable to collect native American rock art. Obviously, physically taking rock art is in bad form and generally illegal. Taking rubbings and even touching rock art can be very detrimental to the art and is strongly discouraged, if not illegal in some circumstances. However, you can take rock art photographically. 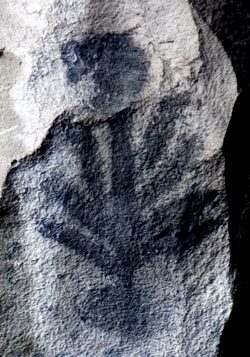 I’d like to share some of the rock art I have collected in the Upper Klamath Basin and provide some further information and historical context so that you can see if this might be a topic that would interest you. Native American rock art takes three major forms, pictographs, petroglyphs and petroforms. Beyond those, some tribes built mounds, representing animals and even people, out of dirt. Many Indian mounds have been preserved in Wisconsin and are available for you to explore. For now, I’ll be talking about the three major forms. Is this pictograph evidence of an extra-terrestrial visitor? Scientists believe that rock art was not generally developed as art for its own sake. For the most part, these forms were created as a part of spiritual or shamanistic rituals and hold their meaning within that context. Neither do they believe that pictographs, petroglyphs or petroforms represent any sort of written language although the elements of the art work may represent specific events or relationships. Scientists like to classify things and rock art is no exception. One study by B. K. Swartz, Jr. cataloged pictographs in the Klamath Basin (Oregon and California), Southern Sierra (California), and Santa Barbara (California) areas. Swartz concluded: “the focus of Klamath Basin pictographic design content is the zig-zag line and triangle, often aligned; the focus of the Santa Barbara pictographic design content is the common occurrence of elaborate ‘mandelas.’ A focus for Southern Sierra pictographs is not apparent. 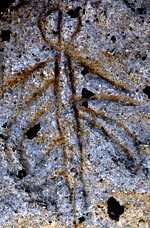 A theme that runs through all three styles is concentricity, and it is this characteristic that was subjectively noted by earlier investigators.” Clearly, rock art differs in appearance in different locations and its appearance depends upon the historic period in which it was created. All of the rock art pictured here came from the Klamath Basin area that Swartz studied. Pictographs are artistic renderings drawn on the surface of rock. The ‘paint’ was typically a mineral or plant substance mixed with a binder like animal fat or blood. Many of the pictographs pictured here were made with a mixture of charcoal and fat. As opposed to petroglyphs, that are more durable, pictographs are usually found under cover such as in caves or around cave entrances. Sometimes an overhanging ledge on a rock face became a canvas for these artists. It appears that these are typically finger paintings – the artists drew on the rock directly with their fingers. This can help you associate a scale to the pictographs shown on this page. Carbon analysis of three pictographs in Fern Cave, gave dates ranging from 300 to 1,000 years ago. Petroglyphs were created by digging into a rock face with a sharp rock or animal bone. Actual techniques vary depending upon the type of rock face, the tools at hand and the creativity of the artists. One of the largest petroglyph sites in the U.S. is Petroglyph Point in the Lava Beds National Monument, where the petroglyphs shown here were found. The rock face was under water until about 6,000 years ago and then the water rose and fell over time offering natives in boats opportunities to inscribe the rock at different levels. Analysis of wave action on the rock suggests that these petroglyphs could be up to 4,500 years old. 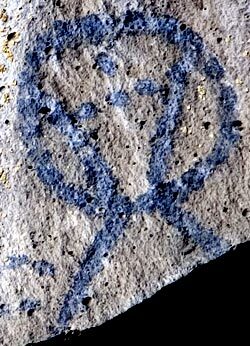 The absence of design elements associated with current tribes of the area and the lack of knowledge about the petroglyphs by the oldest natives of the area, when Europeans first arrived, suggest that earlier cultures may have created them. It its broadest sense, ‘petroform’ refers to rocks that have been moved into a new formation. Thus, Stonehenge would be considered a petroform. In the U.S. petrofroms are more typically rocks arranged on a flat landscape to create an animal or geometric shape or some relationship to astronomy. The Klamath Tribe, in south-central Oregon, built many rock cairns and arranged rocks at their vision quest sites although not usually in the form of anything particular. Members of the Klamath Tribe have explained to me that many of their rock cairns are very personal in nature. They may mark a place where something of individual importance happened and serve as a connection between the event, the creator of the cairn and the spiritual world. For example, a father may build a rock cairn at the place where his son shot his first deer. As such, these petroforms have little meaning to others, but they are highly respected and never disturbed because of their spiritual connections. To this day, some members of the Klamath Tribe continue the practice of cairn building. 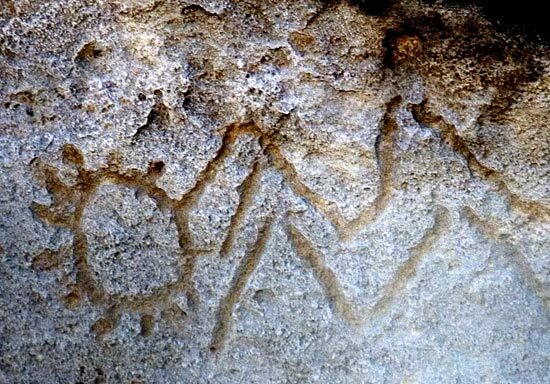 Scientists and laymen alike continually try to interpret meanings behind rock art. In some places, depictions of gods or particular ceremonies can be associated with rock art because the depicted entities and events are well known. Some people like to associate certain pictographs, like one shown above, to extraterrestrial visitation. It’s easy to say that this pictograph represents a bird or that petroglyph represents a bug, but the fact is that the art may have come purely from imagination, dreams or visions. Whether or what specific meaning is associated with a particular piece of art is known only to the artist. So, explore, enjoy and interpret, but bear in mind that your interpretation comes from an entirely different world view than the artist hundreds or thousands of years ago. The text, photos and video are by Jerry Haugen, Pathfinder, and are ©2010 Global Creations LLC. All rights reserved.